An EBF Maiden Fillies Stakes (Plus 10) over 1m 3y on good to soft going. Fifteen two-year-olds take part. Very rushed for time this evening so I will just write a few lines regarding the major protagonists although this could well be a competitive heat. Neshmeya and God Given catch the eye. Charles Hills trains Neshmeya who is a daughter of Lawman out of a very talented mare who won three times in her career when trained by John Gosden for George Strawbridge. She achieved an official rating of 115, winning at Group 3 & placed in the Epsom Oaks Group 1. Neshmeya cost 425,000G as a foal and runs in the silks of Hamdan Al Maktoum. She was made favourite for her debut at Newmarket over 7f but put in her place by Talaayeb who raced in the Hamdan second colours. The winner, trained by Owen Burrows, was substantially backed from 25/1 - 10/1. It was a comfortable victory from a filly who will contest pattern class next season. There is no disgrace finishing runner-up to a talented juvenile although I imagine Hills was bemused because I have little doubt connections fancied both horses and probably favoured this bay filly. With almost one month on the sidelines, connections will be hoping for a bold display. This extra furlong looks ideal. From our analysis, we can identify this filly is one of the better juveniles in the stable. She should take a lot of beating and this will be seen as a stepping stone to loftier plans next year. Interesting to see Luca Cumani sending God Given to Yarmouth for her second start as it is a course he often targets with his better juveniles. This daughter of Nathaniel is owned and bred by St Albans Bloodstock. 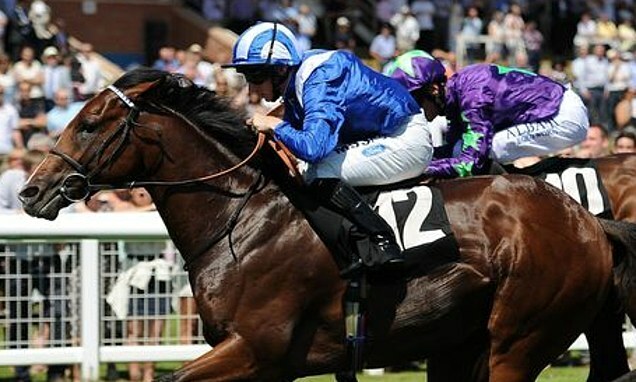 The mare has produced some talents including Postponed [sired by Dubawi]. This bay filly was fancied to go well on her debut at Newmarket when racing over one mile. She was trounced by Sobetsu after looking very much in need of the run, plugging on in the closing stages to take third place. Sobetsu did little when competing at the highest level next start - unplaced in the Fillies' Mile Group 1. In truth, the Newmarket maiden may not have been the strongest. God Given should improve for that initial first start but will need to do just that to threaten Neshmeya. Cumani holds this juvenile is high order so if fancied in the betting has respectable each-way claims. It is always difficult to assess debutantes at this time of year. Many have the ability but the key [if not difficulty] is assessing their fitness. There are plenty of top-class trainers fielding two-year-olds at this meeting and it could be the case one or two are pushed out to value odds with the favourites taking so much of the market. That in itself brings problems as most of these juveniles are best assessed by the betting, specifically when they are shorter odds. Shutter Speed would hold fair each-way claims if priced 13/2 & less SP. Song Maker has shown ability on two starts to date. Conclusion: A big field, lots of debutantes, a smattering of form horses including the two favourites who may well test these to the limit. Neshmeya is a costly horse who is held in high regard by connections. They were most likely shocked to lose on debut and this looks an ideal opportunity to lose her maiden tag. The price is short for a multitude of reasons and why this youngster will start favourite if not odds on. Definitely, the one to beat. As with all short priced horses - they have to perform to win. God Given has to improve to beat the jolly but I suspect Cumani has seen a marked change in this filly since her first start. From a statistical point of view, she holds decent each-way claims if fancied in the betting. A few form horses/debutantes come here with some chance. However, I would stick with the two major hopes and have a point win on both.